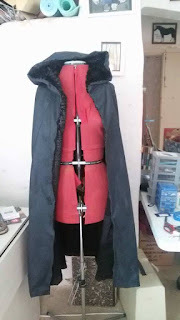 I wanted to try making a cloak or coat for next winter. I knew it would be an ambitious project, but also slightly more affordable than buying a new coat. 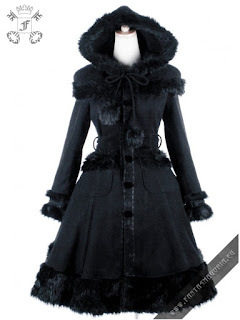 I looked at Pyon Pyon and Killstar to get some inspiration. I was mostly inspired by Pyon Pyon's Doll coat: it looks very comfy and luxurious. 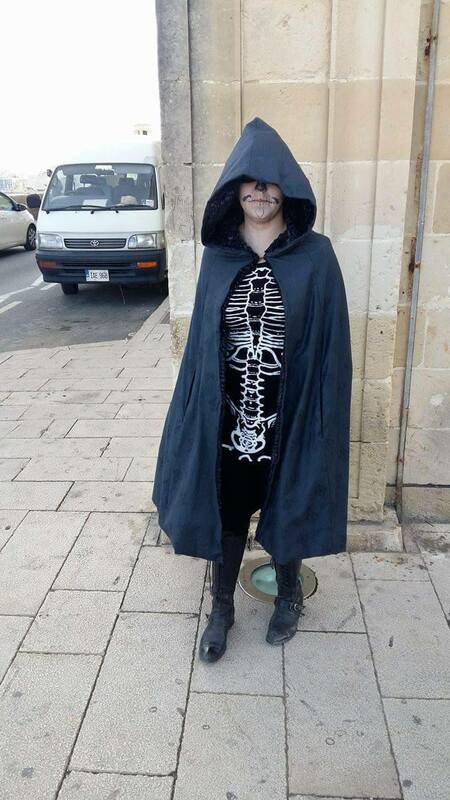 I had made a cloak previously, but unfortunatley I messed up the measurements. 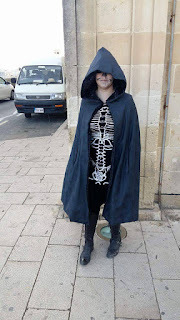 The cloak fasten around the next but I couldn't actually drape it around myself for warmth. There just wasn't enough material. 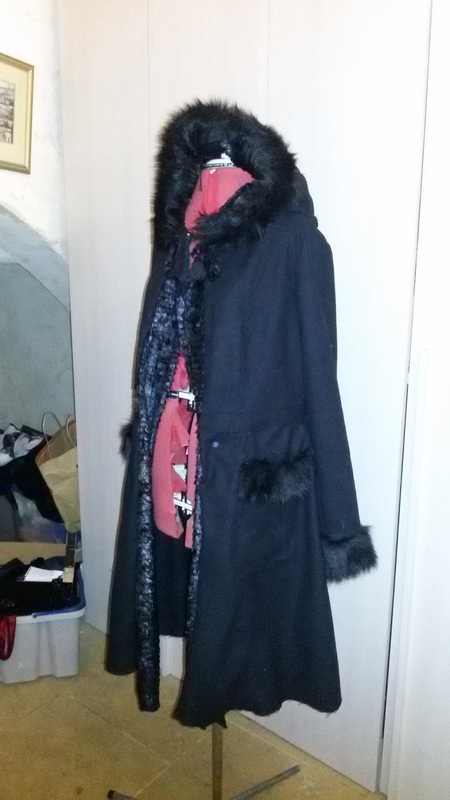 I didn't want to waste the materials (including some beautiful faux fur that resembles crow's feathers) so I decided to take apart the cloak and reuse the wool and fake fur for my new coat. 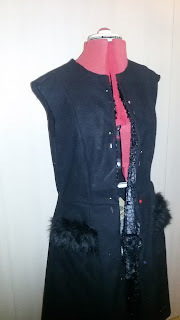 I looked through Burdastyle magazines to find a base pattern for the coat. I settled on one from March 2011, and altered it to give the bodice princess seams and to make the skirts of the coat wider. I used black wool for the outer fabric, as it's warm and drapes nicely. I was going to use the cotton from the cape to line the coat, but instead bought a beautiful fleecy material that should be a lot warmer. Once the body of the coat was sewn together, I added the pockets. The pockets are large enough to fit a Smart Phone and various necessities (keys, change, etc). 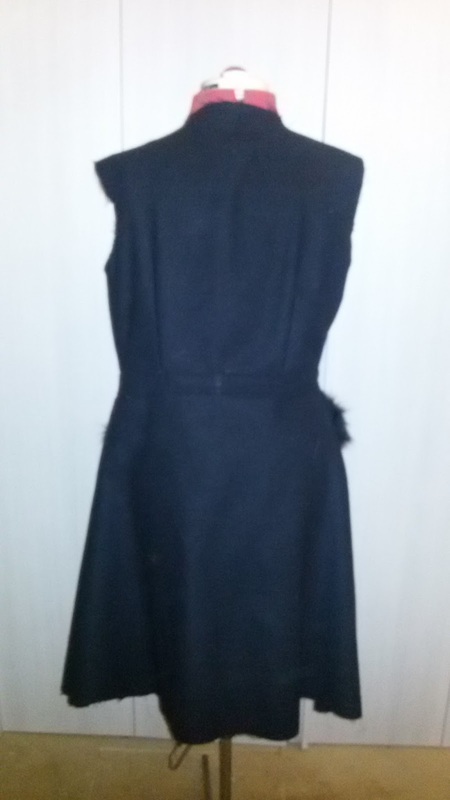 They are lined, and I sewed a strip of faux fur to the top. I bought very little faux fur, as I only intended to use it as trim. 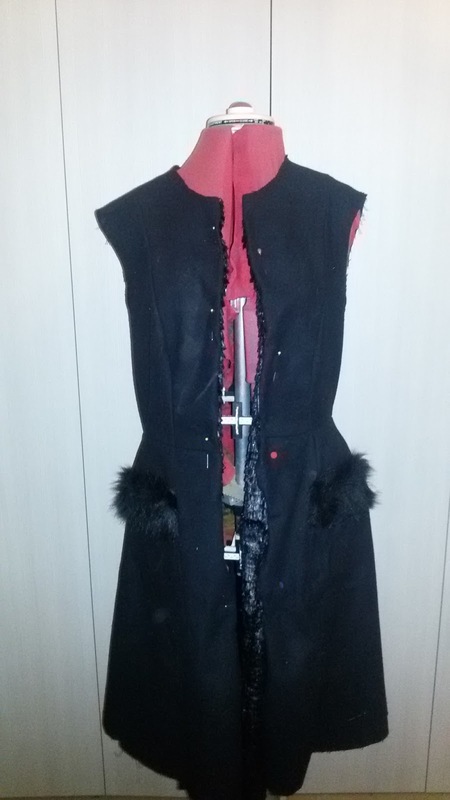 I also pinned on the coat's facing to see how it would look. I used the feathery faux fur to line the hood and as facing. 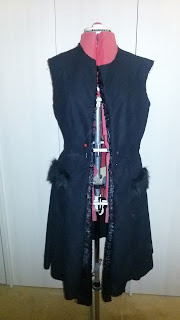 I then sewed on the coat's sleeves. I sewed on the fur cuffs before sewing the sleeve up and attaching it to the coat. Later I finished the cuffs by hand. 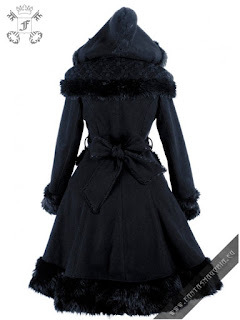 I sewed the hood, using wool and the old faux fur hood lining, and sewed on a strip of fur for trim. I gathered the wool hood to size and sewed it to the coat. 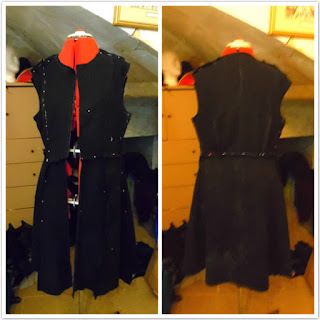 I forgot to take progress photos for making the lining and buttonholes. The buttonholes are bound/welted. It's a fiddly technique but the end result looks much nicer than a normal buttonhole would. I made a drawstring for the hood, which will help keep it in place on windy days. 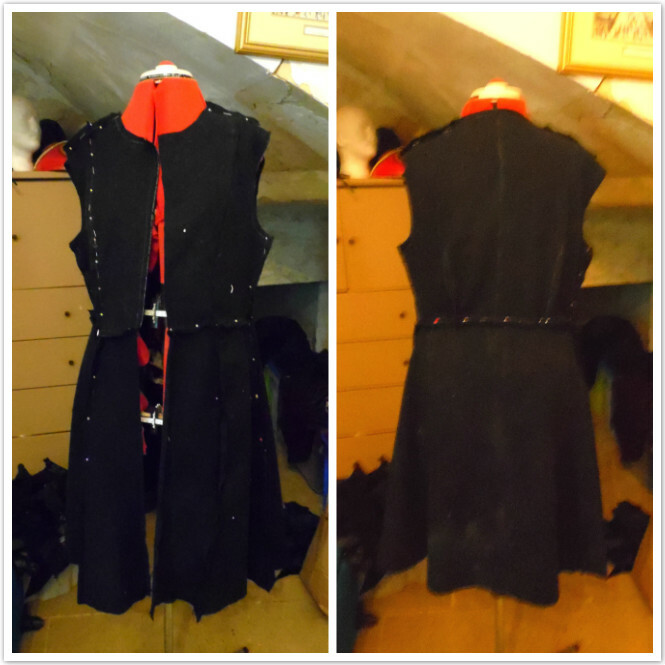 I cut and sewed the lining, pinned it in place, and carefully sewed it in by hand. The hemming was also done by hand. 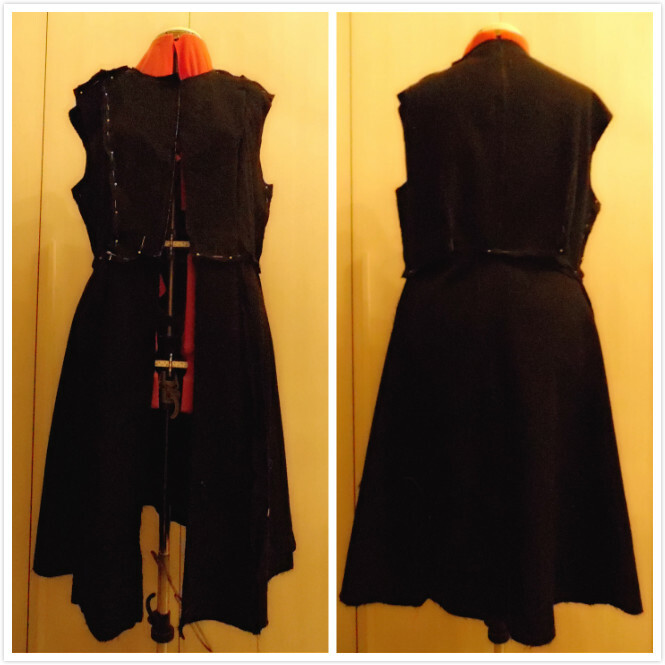 The last step was to sew on the buttons. I picked slightly expensive buttons, but they do go well with this coat so I'm trying to look on them as an investment. The finished coat fits well and is comfy. 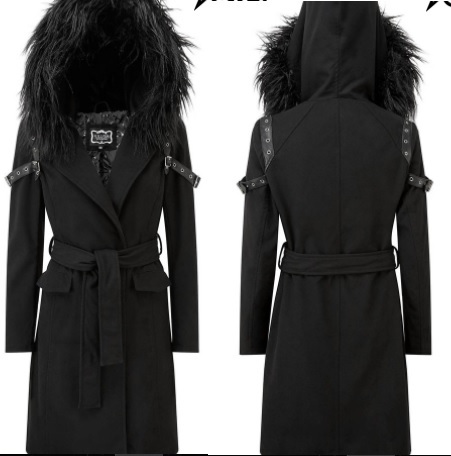 I made the coat a size 40 rather than a 38 because I'll probably be wearing bulkier clothing in the winter and want some flexibility in fit. 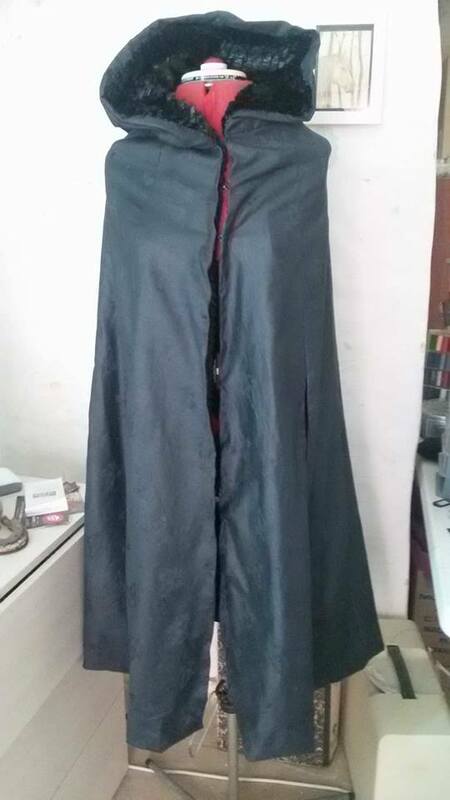 I had to learn a lot of new techniques while making this coat, so it's not perfect, but I am still very happy with the final result.